A regular meeting of the Board of Trustees of Center Independent School District (CISD) was held on Thursday, December 14, 2017 beginning at 6:00 p.m. at Center Independent School District Administrative Office Building located at 107 Private Road 605 in Center, Texas 75935. John Henry Holloway called the meeting to order at 6:02 p.m. and declared a quorum. Matthew Mettauer the invocation and Casey Lout led the Pledges of Allegiance. Allison Johnson nominated Matthew Mettauer as Board President. With no further nominations, Allison Johnson made a motion, seconded by Traci Willoughby to nominate Matthew Mettauer as the President of the Center ISD Board of Trustees. Matthew Mettauer abstained from the vote. Traci Willoughby nominated John Henry Holloway as Board Vice President. With no further nominations, Traci Willoughby made a motion, seconded by Allison Johnson to nominate John Henry Holloway as the Vice President of the Center ISD Board of Trustees. John Henry Holloway abstained from the vote. Allison Johnson nominated Traci Willoughby as Board Secretary. With no further nominations, Allison Johnson made a motion, seconded by Daphne LaRock to nominate Traci Willoughby as the Secretary of the Center ISD Board of Trustees. Traci Willoughby abstained from the vote. Doug Whitt, Center ISD financial advisor, presented a financial profile of Center ISD to the members of the Board. The District is in excellent financial shape and well prepared to meet the future facility needs of the District. The Special Board Committee on Facility Reviews met with four impressive architectural firms on Monday, November 27, 2017. The Committee made a recommendation to the full Board to employ McKinley-Golden Architecture firm for future projects. A motion was made by Traci Willoughby, seconded by Allison Johnson to engage McKinley- Golden Architecture firm for future projects at Center ISD. A motion was made by John Henry Holloway, seconded by Casey Lout to authorize Administration to solicit proposals for Construction Manager at Risk on Future Projects. The Board discussed the Texas Academic Performance Report (TAPR) for 2016-2017. 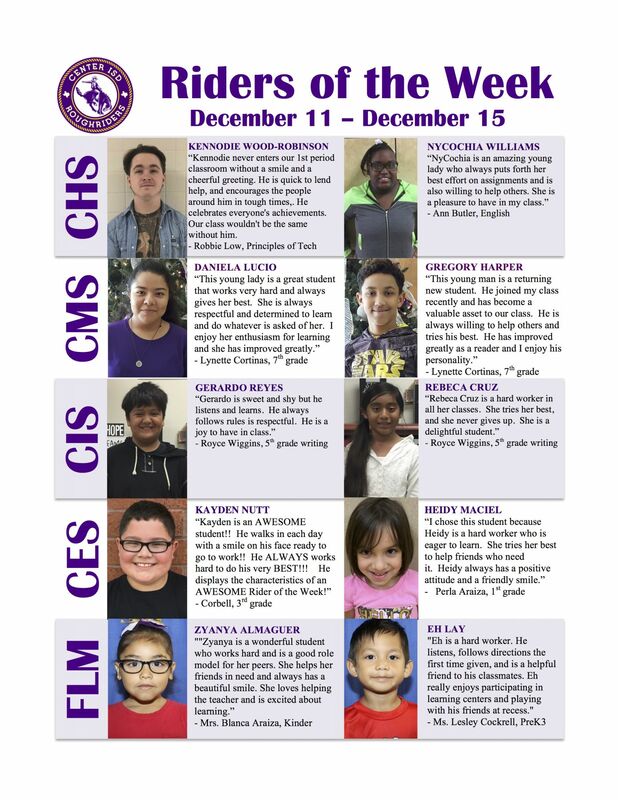 Center ISD had a positive year with substantial gains. Three campuses (CES, CIS and CHS) earned academic distinctions, and the special education program improved its staging rating from a 3 to a 2. The 2017 accountability rating for Center ISD is Met Standard. A motion was made by John Henry, seconded by Allison Johnson to approve the consent agenda consisting of the minutes from the regular meeting on November 6, 2017; the minutes from the special called meeting on November 15, 2017; the minutes from the special Board Committee on Facilities Review on November 27, 2017; Tax Office Report (November 2017); Investment Report (November 2017); Quarterly Investment Report (period ending May 31, 2017); Annual Investment Report (2016-2017); financial reports (September, October and November 2017); payment approval over $50,000; budget amendments for employee compensation and benefits; local policies DNA and DNB; Overnight Student Activity Trips and the resolution authorizing signature authority to District officers. A motion was made by Traci Willoughby, seconded by Daphne LaRock to approve the TASB Policy Update 109 as presented. The Board received information regarding two new positions at Center ISD. The new positions are necessary to meet the needs of our student body and District. The Board also received information to employ highly qualified student teachers upon graduation subject to assignment and future positions. This approach is a proactive move to keep local talent in our District as well as providing a practical and authentic teaching experience sooner rather than later. A motion was made by Allison Johnson, seconded by John Henry Holloway to approve two new positions (At Risk Counselor at RRA and a Student Needs Liaison and Intervention Coordinator at CMS) conditioned upon funds availability and giving consideration to employing highly qualified student teachers upon graduation subject to assignment and future positions. Matthew Mettauer called for a closed session at 7:06 p.m. under Texas Government Code §551.071 and §551.074 for consideration of employment of contracted personnel, resignation/retirement and extended emergency sick leave. The Board returned into open session at 7:44 p.m. No action was taken in closed session. 14.1.1 A motion was made by Allison Johnson, seconded by Traci Willoughby to accept the resignation/retirement as recommended by Superintendent Hockenberry. 14.1.2 A motion was made by Allison Johnson, seconded by Traci Willoughby to approve the employment of personnel as recommended by Superintendent Hockenberry. 14.1.3 There were no extended emergency sick leaves to be considered by the Board. A motion was made by Casey Lout, seconded by Traci Willoughby to adjourn the meeting at 7:46 p.m. The Joaquin ISD School Board met tonight in regular session at 6:00 p.m. in the Joaquin Boardroom. depriestdavid@tenahaisd.com to place your order. year to bring this state of the arts competition to Tenaha. December 27th, 28th, and 29th. Tiger Café’ will be open for your lunch and dinner enjoyment. Thanks in advance for everyone’s assistant! Junko Chodos: Can We Hear Our Own Voices? “Junko Chodos: Can We Hear Our Own Voices?” features mixed media pieces and drawings. The artist will discuss her work, specifically where her art fits in the course of art history, at a reception from 6 to 8 p.m. Saturday, Jan. 27, at Cole Art Center. Admission is free. Meyer, director of percussion studies at SFA, will perform “Mourning Dove Sonnet” by Christopher Deane, “Stop Speaking” by Andy Akiho and “Intersection Lines” from Meyer’s own composition, “Seven Images for Solo Concert Snare Drum,” among other selections. Loran (1905-1999) was a California abstract expressionist, painter, printmaker, author and teacher. Dr. David Lewis, professor of art history at SFA, will discuss Loran’s artwork at 5 p.m. Thursday, Feb. 1, in the gallery. Admission is free. December 15, 2017 - Center Riders will play the Defending 4A Boys State Basketball Champions Silsbee Tigers on Tuesday, December 19th. The Tigers are coached by Center native Joe Sigler, a 1973 graduate of Center High School. Two separate polls show the Riders ranked as #1 & #5 and the Tigers ranked as #6 & #1. Needless to say, this is going to be a game for the history books at CHS. Come out on Tuesday and support your Center Roughriders coached by Hiram Harrison. Games start at 4:30pm featuring all teams; 9th, JV and Varsity. Wednesday, December 20, 2017 at 9:00 a.m., Senior, JaTerious Evans will sign a letter of intent to play football for Stephen F. Austin State University for the next 4 years. The CHS Athletic Department along with the CHS Library will be hosting this event. The Cole Art Center @ The Old Opera House, SFA’s downtown Nacogdoches art gallery, has announced its holiday hours. With the exception of Mondays, The Cole Art Center will be open each day throughout the rest of December. Hours are 12:30 to 5 p.m. Tuesday through Friday; 10 a.m. to 5 p.m. Saturday; and 1 to 4 p.m. Sunday. Exhibitions currently showing include “Collective Transference: Houston Area Clay” and “The Patriotic Art of World War I in France,” both of which are showing through Dec. 31. Griffith Fine Arts Gallery on the SFA campus will be closed tomorrow through Jan. 18 when an exhibition of works by Erle Loran opens. SFA Gardens will host the monthly Theresa and Les Reeves Lecture Series at 7 p.m. tonight in the Brundrett Conservation Education Building at the Pineywoods Native Plant Center. 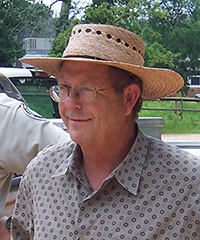 Dr. David Creech, director of SFA Gardens, will present “The Year in Review: Surviving a Career in Academia with No Permanent Injuries.” Creech’s year-end lecture will lead the audience through the highlights of the past year — plants, people and plans — and will aim to educate, entertain and enlighten. The lecture is free and open to the public, but donations to the Theresa and Les Reeves Lecture Series fund are always appreciated. January 18, 2018 at 3pm in the M.P. Baker Library foyer. Panola College and her BFA at Northwestern State University. 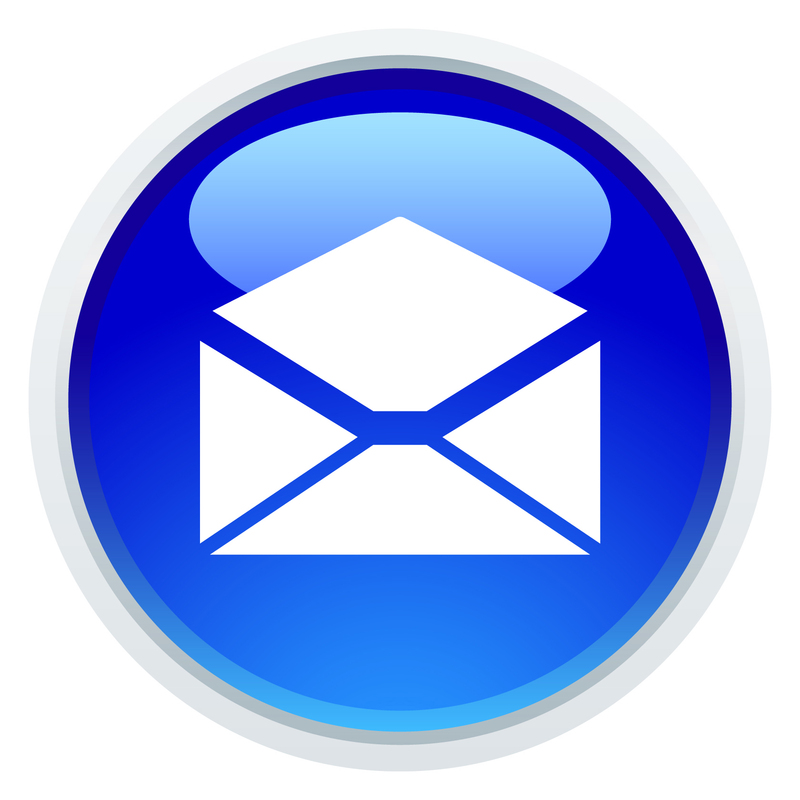 7:30 am - 9:00 pm, Friday 7:30 am – 12:30 pm, and Sunday 4:00 – 9:00 pm. Chief Information Officer finalist Henry May will be making a public presentation on “The Role of Information Technology in Higher Education” at 2 p.m. Wednesday, 12-13-17 at SFA in the McGee Business Building, Room 133. This will download a Word Document. Sunday, Dec. 3, at Central Lutheran Church in Dallas. Woman’s University Chamber Singers, and The Vivace Madrigals. 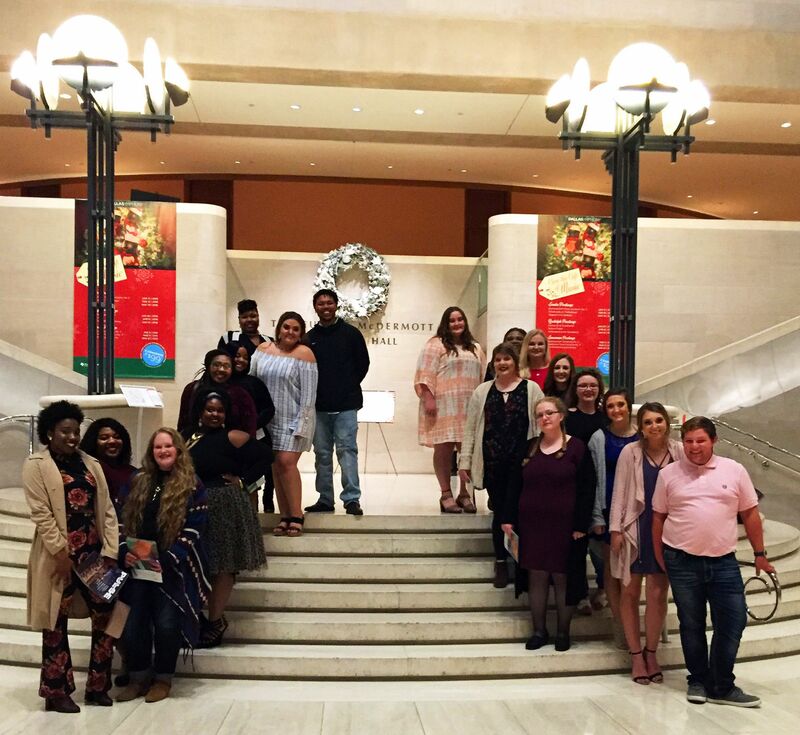 Christmas,” featuring the Festival Community College Choirs and Ensembles. recognized organ that is part of the Morton H. Meyerson Symphony Center. that choir, which was absolute perfection,” Bauer added. with other community colleges in the Dallas area on December 3. Christmas Break - Timpson ISD will early release Friday Dec. 15 at 1:00 for the Christmas Holidays. School will resume at regular time Jan. 2 2018. Aggie Land Bound! 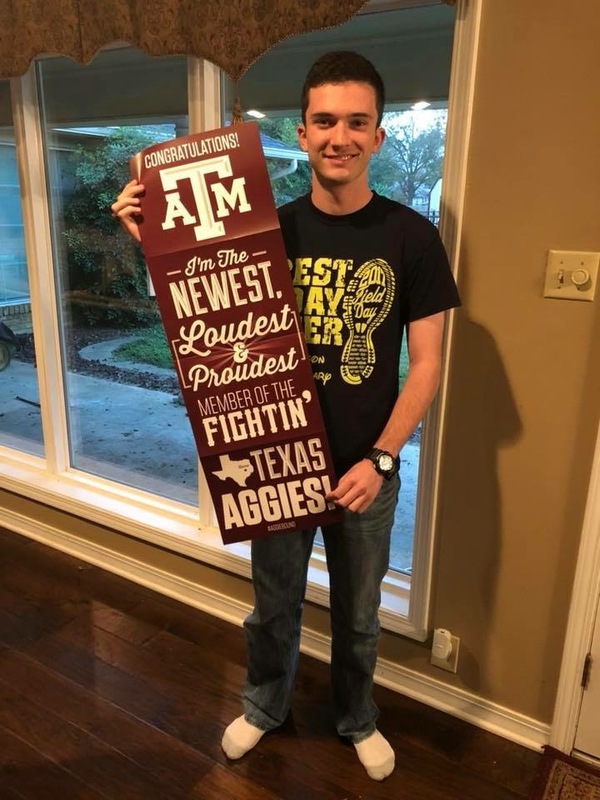 - Congratulations to Connor Timmons and Blake Johnson who recently received their acceptance letters to Texas A&M University in College Station. 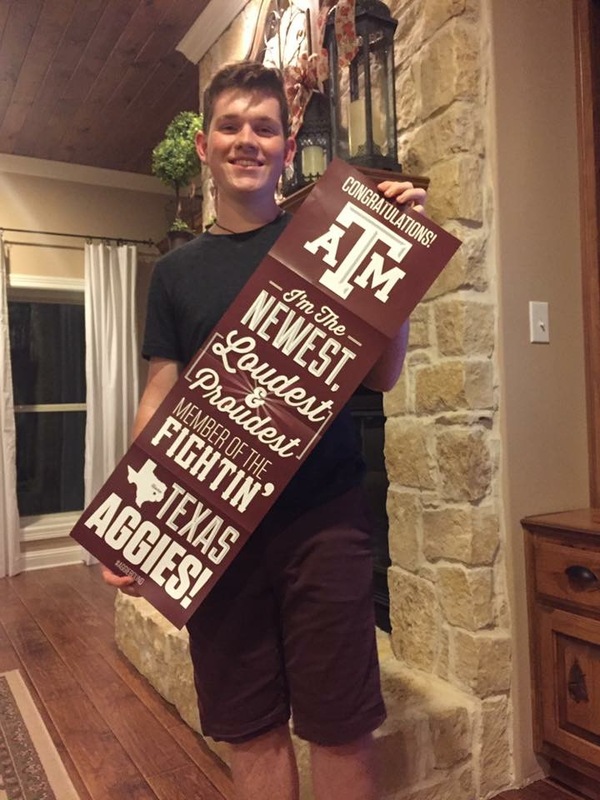 They both are seniors at Timpson High School and will attend Texas A&M in the fall. Congratulations Connor and Blake. Gig 'em! THS Senior Pictures - The Timpson High School senior pictures will be taken Thursday Dec. 14 in the high school library. Chief Information Officer finalist Lowell Ballard will be making a public presentation on “The Role of Information Technology in Higher Education” at 2 p.m. today 12-12-17 in the McGee Business Building, Room 133. Thank you for your support of the THS FCCLA. Tues. Dec. 12 – TISD Board of Trustees Meeting – 6:30 p.m.
------------------ THS Boys Basketball vs. Carlisle – There @ 5:00 p.m.
Thurs. 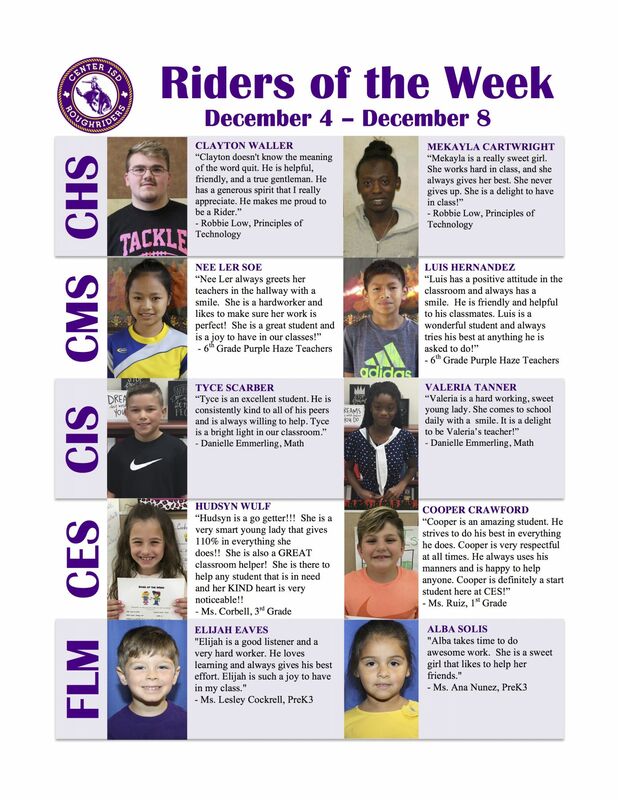 Dec. 14 – TMS Basketball vs. Shelbyville – 1 girls’ game @ 4:30 p.m.
Fri. Dec. 15 – Early Release @ 1:00 p.m.
----------------- Band concert – Auditorium at 9:00 a.m.
THS Honor Roll - Attached is the Timpson High School second six weeks honor roll. Congratulations for your hard work students in achieving this honor. TMS OAP News - Timpson Middle School One Act Play competed in district competition at Panola on Wednesday, Nov. 29th. They performed the play Childhood by Thornton Wilder and were directed by Leatha Hightower. The cast members were Carter Ramsey, Celine Bush, Celeste Bush, Emma Ramsey, and Caden Solomon. 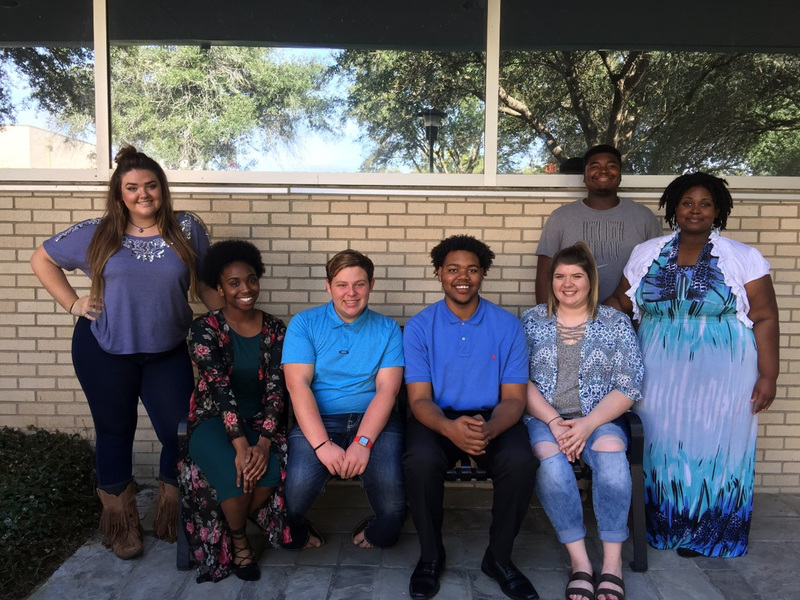 Crew members were Bella Alford, Kallie Solomon, Shy'Kuirra Bussey, Kyra Mardis, and James Williams. Timpson placed third in district and also received several acting awards. *Rebekah Parks, Kendall Archer, and Connor Timmons ranked high enough in their sections to qualify for the Area competition. On January 13 they will go to Chapel Hill and audition for the ATSSB All-State Band. Congratulations to all of these fine Timpson Band students. 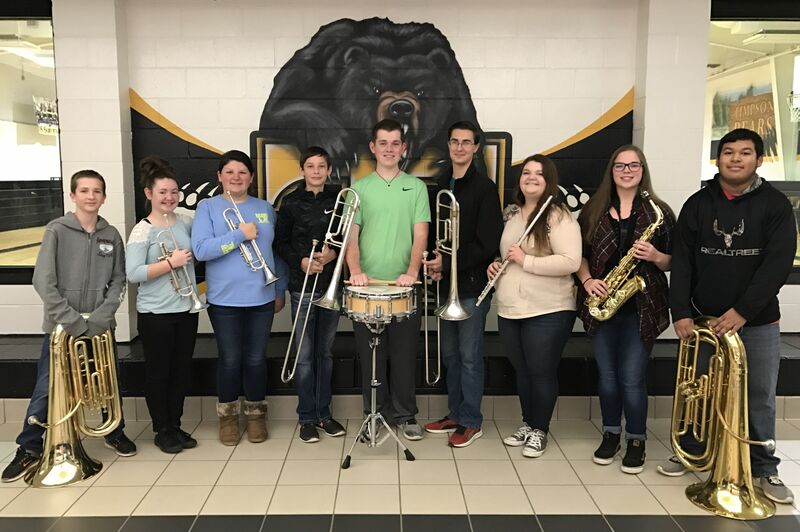 We are VERY proud of all of our Bear Band students that auditioned! Carthage, Texas – The Panola College men’s basketball team defeated Coastal Bend College here Saturday afternoon, 97-68. The victory raises the Ponies record to 7-5 and 1-2 in Region 14 play. “We just had to get the monkey off our back. The last three games we all lost at the buzzer.” Head Coach Grant McMillan stated. “We simplified some things and our crew responded. It was a great win going into break.” he added. After a 15 all start, Panola started to gradually pull away ending the half on a 20-8 run giving them the 45-33 halftime lead. Coastal Bend never got any closer as the Ponies gradually increased their lead the entire second half. At one point, Panola pushed they lead to 31 points, 91-60. Five players scored in double-figures and were led by Juwan Williams 22 points. Shandon “Biggie” Goldman came off the bench and netted 19 points including five three-pointers. Marlon Taylor added 14 while Tylan Dean and Alex Holcome both chipped in with 11, respectively. As a team, Panola recorded a season high 50 rebounds. Panola heads to their holiday break before taking on Central Christian JV on Wednesday, January 3rd. Tip-off is set for 7:00 PM on the campus of Panola College. SFA’s bowling team finds itself seventh nationally in the December version of the National Tenpin Coaches Association poll. The Southland Bowling League dominates the NTCA top 10 with five teams ranked in the top nine and seven total in the top 25. 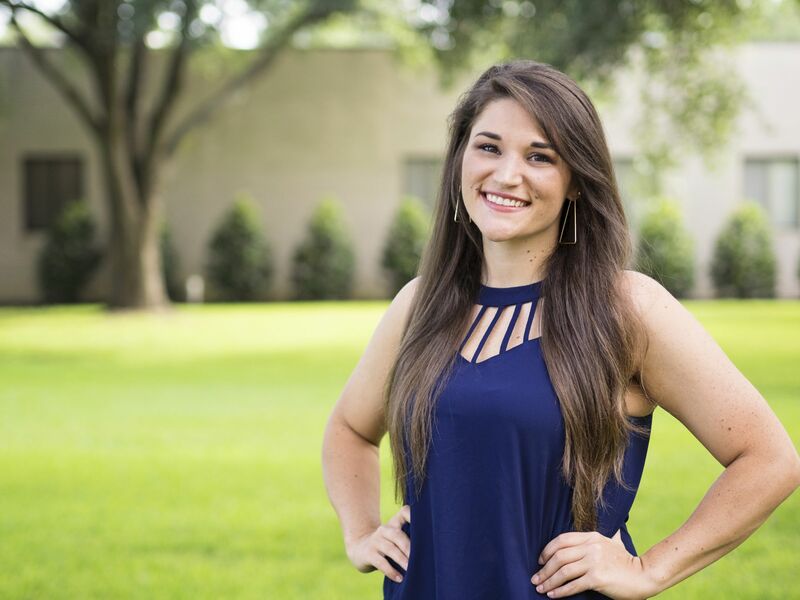 SFA senior Brianna Evans of Center received the Olds Family Outstanding Student Teacher Award, which honors an exemplary student teacher from SFA’s Department of Elementary Education each semester. University field supervisor MaryAnn Bentley nominated Evans for this honor, and a committee of six SFA elementary education faculty members, who reviewed teaching videos and additional materials, selected her to receive the award. Evans will graduate from SFA this month with a bachelor’s degree in interdisciplinary studies. Two outstanding faculty members will be honored during the 29th annual SFA Gala Saturday in the Baker Pattillo Student Center Grand Ballroom. Faculty member awards presented during the Gala recognize innovation and excellence in teaching and research. Lauren Selden, associate professor of art, is the recipient of the 2017 Faculty Achievement Award for Teaching. Candace Hicks, assistant professor in SFA’s School of Art, is the recipient of the 2017 Faculty Achievement Award for Research. The Gala cocktail reception begins at 6 p.m. and will be followed by a candlelight dinner at 7 p.m. Entertainment will begin about 8:30 p.m. and will be provided by Blind Date, featuring seven of Austin’s most accomplished musicians whose repertoire ranges from dance music to jazz, rock, country and hip hop. Tickets are $175 for orchestra seating and $125 for ballroom seating. Proceeds from the Gala help build a permanent endowment created by the SFASU Foundation to honor faculty member achievement. For more information or to purchase tickets, call April Smith, associate director of development, at (936) 468-5406. Campus Recreation is collecting new, unwrapped items for the Nacogdoches Animal Shelter and the Salvation Army for its annual Angel Tree. Stop by the Campus Recreation lobby, grab a candy cane off the Angel Tree, and bring back the items listed on the tag by Dec. 15. Choral Auditions on Friday, Nov. 3, at Angelina College. under the direction of Dr. Wallace Long, Jr., will be held in the Henry B.
at 6:30 pm. Please come out and support! A regular meeting of the Board of Trustees of the Shelbyville Independent School District will be held on Monday, December 11, 2017, beginning at 6:00 p.m., in the Board Room of the Shelbyville Independent School District at 343 FM 417 West, Shelbyville, Texas. If, during the course of the meeting, discussion of any item on the agenda should be held in a closed meeting, the board will conduct a closed meeting in accordance with the Texas Open Meetings Act, Texas Government Code, Chapter 551, Subchapters D and E or Texas Government Code section 418.183(f). Before any closed meeting is convened, the presiding officer will publicly identify the section or sections of the Act authorizing the closed meeting. All final votes, actions, or decisions will be taken in open meeting. 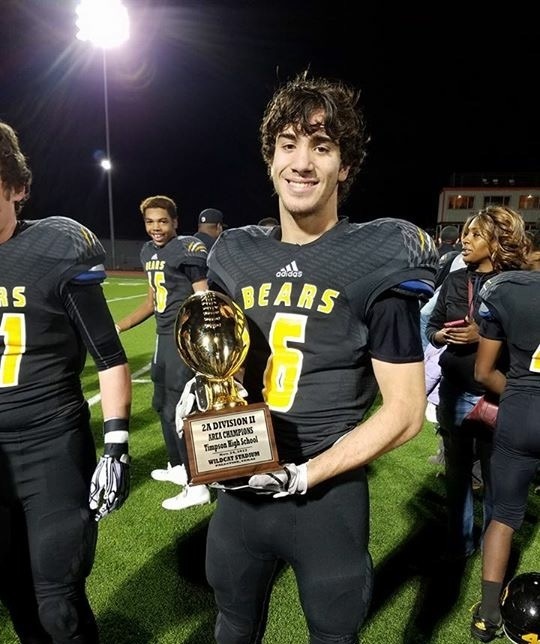 Thursday Night Varsity Bear Football Game Information – The Timpson Bears will be playing the Tenaha Tigers at the Carthage Bulldog football stadium tomorrow night (Thursday) at 7:00 p.m. in the 2A D2 Region III finals. The Bears are the visitors. Admission is $7.00 for adults and $5.00 for students. District Passes and Timpson Senior Citizen Passes will be honored at the Admission gate. As a reminder, air horns are prohibited at the stadium. Please see the attached Carthage stadium regulations. Come out and support the Bears!!! TLB Basketball News – The Timpson Lady Bears will be playing in the Gary basketball tournament this weekend with the first game being played tomorrow here in Timpson against White Oak at 9:00 a.m. Good Luck Lady Bears!!! Very few extras will be ordered. Receive a ticket for the Senior Signing Party with your yearbook purchase. 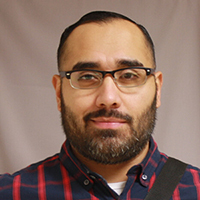 Walter de la Cruz has joined the staff of the Student Success Center as a triage advisor. In this role, he will assist students in navigating the university and achieving success. He also will serve as foster care liaison and oversee the JacksPASS program for SFA. Cruz, a first-generation college graduate, formerly worked in the registrar’s office and the School of Social Work. He also served as a success coach with the GenJacks program. contest will end January 3rd. NACOGDOCHES, Texas - Stephen F. Austin State University has received rankings on the national and state levels for its online education and affordable programs. Nationally, Best Colleges Online ranked SFA fourth for the most affordable online master's degree in educational leadership. Best Colleges Online "provides expert insights into the best-accredited online universities across the United States," according to bestcollegesonline.org. "Our master's degree program in educational leadership continues to grow and develop, and it is an honor to receive recognition at the national level," said Dr. Barbara Qualls, assistant professor of secondary education and educational leadership and program coordinator at SFA. Website editors considered "the most reputable graduate online master's in educational administration, educational leadership and closely related programs from accredited colleges and universities with a graduate tuition price under $21,000 per year." SFA's nationally accredited program within the James I. Perkins College of Education offers a 30-hour master's degree in educational leadership and an 18-hour principal certification. The program is administered entirely online through Desire to Learn, the university's online course-delivery system. The program utilizes a scholar-practitioner approach incorporating theory and practice-based learning that focuses on research-based practices, curriculum and instructional leadership. At the state level, Affordable Colleges Online ranked SFA as the 14th best online college. Affordable Colleges Online is a website that offers "in-depth resources that address topics, questions and concerns related to higher education with an eye on affordability and accreditation." SFA offers more than 20 online degree programs both at the undergraduate and graduate levels that are accredited by the Southern Association of Colleges and Schools. Top Management Degrees, an online guide to the best management degree programs, ranked SFA's Master of Business Administration program among its most affordable programs in the nation. "The Rusche College of Business works very hard to deliver the highest quality program to our students," said Dr. Mitch Crocker, director of the M.B.A. program at SFA. "We are pleased to be recognized as one of the more affordable programs." The M.B.A. is offered through SFA's Rusche College of Business, and coursework can be customized to fit the student's educational background, interests and goals. The Association to Advance Collegiate Schools of Business accredits the program. Click the link above to make a donation. The fundraiser ends in 6 days, on Monday 12-11-17. Any donations are appreciated. 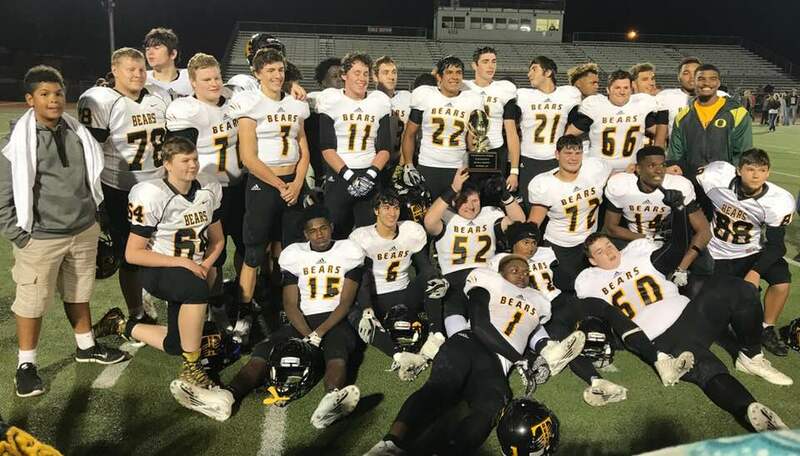 --------------- Junior High Basketball vs. Woden – There @ 4:30 p.m.
Tues. Dec. 5 – TLB Basketball vs. San Augustine – There @ 5:00 p.m.
Bears Region III Class 2A Champions – The Timpson Varsity Bear football team are the Region III Class 2A Champions! On Friday December 1 at Eagle Stadium in Rusk the Bears beat the Grapeland Sandies 67-28. The Bears will play the Tenaha Tigers Thursday December 7 at Carthage High School at 7:00 p.m. for the Region III State Quarterfinal title. Good luck Bears. It is a great time to be a Bear! Battle of the Attoyac – The TLB Junior Varsity and Varsity basketball teams played Garrison in the Battle of the Attoyac game Tuesday, November 28. The junior varsity team won 58-8 and the varsity team won 89-29. Congratulations TLB basketball teams! The “Battle of the Attoyac” reflects the history of the longtime rivalry between Timpson and Garrison with each town being on a different side of the Attoyac River. FFA Fruit Sales - FFA Fruit will be in Tuesday, December 5th and can be picked up at the Ag Building until 5:30 p.m. Please make arrangements for pick-up and delivery. 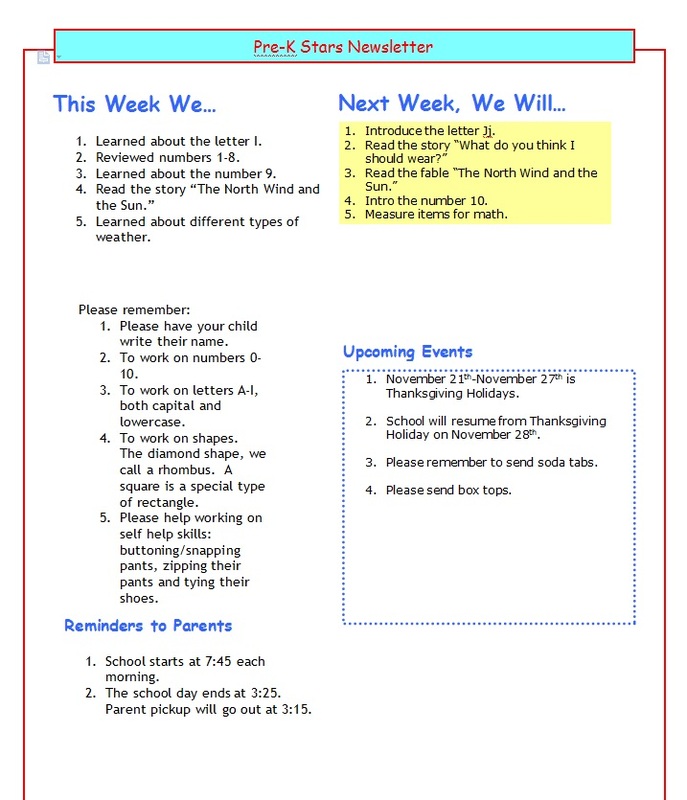 business, please contact Mrs. Ali Tyner at tynerali@tenahaisd.com. Monday, December 4 at 6 p.m. in the CHS Roughrider Gymnasium. 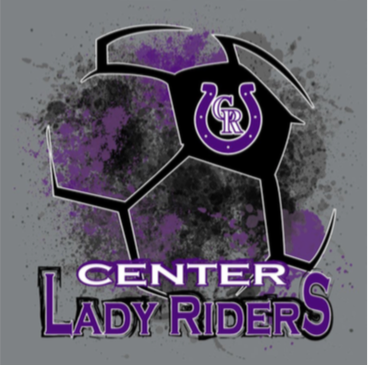 Orders for the 2017-18 Girls Soccer T-shirts are due on Friday, December 8. This will download a PDF file. The Timpson Bears football team has a playoff game vs. Tenaha Tigers on Thursday, December 7th, at 7 p.m. at the Carthage Bulldog Stadium. The San Augustine Wolves varsity football team has a playoff game vs. Centerville Tigers on Thursday, December 7th, at 7:30 p.m. in Palestine. The Percussion Studio at Stephen F. Austin State University and its director, Dr. Brad Meyer, will coordinate an interactive community performance of Phil Kline’s “Unsilent Night” starting at 7:30 p.m. Saturday, Dec. 9, outside the Wright Music Building at 2210 Alumni Drive. Participants will enjoy a 45-minute walk through the picturesque SFA campus while listening to a recording of “Unsilent Night” that participants must download to play over a smart device connected to portable speakers or to a CD played over a boom box. Grant McMillan stated. “Again, adversity is hitting us head on right now. foul, San Jac only made one of two freethrows with 8.2 seconds remaining. percent from the three point line as a team and out rebounded San Jac 40-36. Gary Basketball Tournament 2017 - Attached are the brackets for the Gary Basketball Tournament Dec. 7-9. As of now we have four games scheduled in Timpson with our girls starting at 9 a.m. This will be a great opportunity to see the Lady Bears against White Oak. Congratulations to these young ladies and coaches for an outstanding year. The team went four deep in the play offs and are the Bi District, Area and Regional Quarterfinals champions. Go TLB! 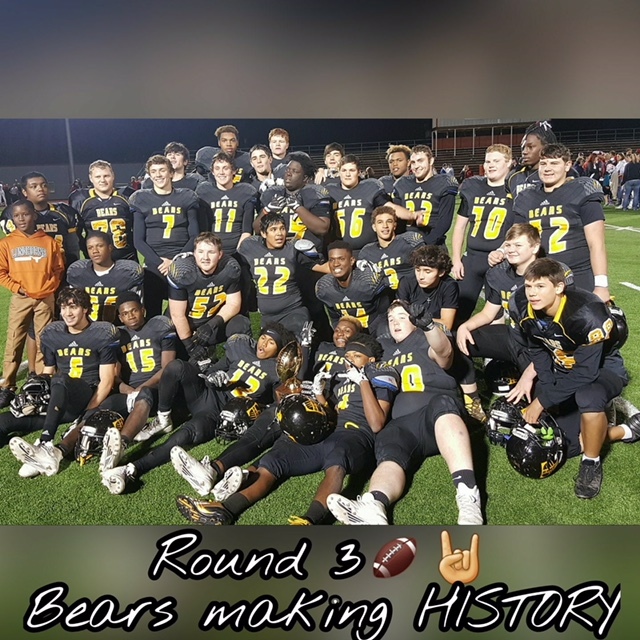 Varsity Bears Advance to Regional Round of State Play-Offs - Just a reminder that the Timpson Varsity Bear Football Team advanced to the third round of the state play-off Area game after beating three times in a row State Champion Bremond last Friday November 24 by a score of 14-11. The Bears will play Grapeland this Friday night, December 1, in Rusk at Eagle Stadium in the Regional round of the state play offs. Admission will be $7.00 for adults and $5.00 for students. Timpson will be the visiting team. Everyone is encouraged to come out and support the Bears! It's a great time to be a Bear! The Cole Art Center @ The Old Opera House will host a holiday exhibition that provides a glimpse into the celebrations of Christmas past from a child’s point of view. “I’ll Be Home for Christmas,” featuring charming items from a bygone era, is from a local private collection. SFA art galleries Director John Handley will discuss a unique aspect of antique ornaments in a presentation at 3 p.m. Saturday, Dec. 2. SFA School of Art’s downtown gallery, The Cole Art Center is located at 329 E. Main St. For more information, call (936) 468-1131. The Wind Ensemble at Stephen F. Austin State University will present the program “Americana” at 2:30 p.m. Sunday, Dec. 3, in W.M. Turner Auditorium on the SFA campus. The featured work on the program will be “Outdoor Overture” by Aaron Copland. The well-known tune “Shenandoah” will also be performed. The Stephen F. Austin State University College of Fine Arts and School of Music will present “A Night of Song,” featuring music faculty members Kayla Roth, Dr. Danny Chapa and Dr. J.D. Salas, at 6 p.m. Tuesday, Dec. 5, in the Music Recital Hall in Wright Music Building on the SFA campus. The concert, which is part of the School of Music’s Calliope Series, will include German art songs, or lieder, from the Romantic era, or the mid to late 1800s. The Stephen F. Austin State University College of Fine Arts and School of Music will present the Rockin’ Axes performing “The ‘90’s and Early, New Millennium Concert” at 7:30 p.m. Thursday, Dec. 7, in Cole Concert Hall on the SFA campus. Among the concert selections are “Satellite” by The Dave Matthews Band, “This Love” by Maroon 5 and “Uprising” by Muse. The SFA Percussion Ensemble and Steel Band, both directed by Dr. Brad Meyer, will perform their annual “Percussion in the Pines” holiday concert at 7:30 p.m. Monday, Dec. 4, in Cole Concert Hall on the Stephen F. Austin State University campus.